The Bowl’s shape and size changed very much with time. And many rules of the Bowl Fight were introduced after the Bowl was made unbreakable. The bowl was basically a very crude affair in the earlier fights. Rather than being custom-made, it was more like any bowl that could be purchased in a home furnishing store. In 1868 the bowl was more akin to very large bowls used to chop meat. In 1870 the bowl was custom-made from white pine. It was 18 inches in diameter and an inch thick with the ’73 class motto “Per Angusta ad Augusta” appearing on the rim. There was a complaint in the Magazine of January 1877 that the trend of making the bowl thicker was interfering with the spirit of the game and resulting in too many draws. It was reported that the current bowl was around 18 inches in diameter and three inches in thickness, constructed by gluing together many pieces of wood. In its center there was a painting of an infant ’80 watched by an old nurse and with the sophomores appearing as a learned physician. 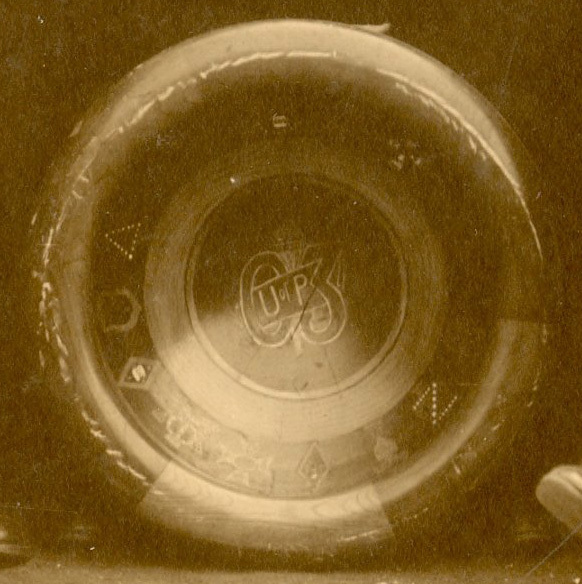 The bowls were usually decorated with the emblems of the various fraternity houses and also the Class monogram. The new rules that appeared in 1884 tried to standardize the bowl dimension. It stated that the bowl should be of cherry and should be not less than 22 inches in diameter, six inches deep and not more than one inch thick. In the fight of 1886 rules were rescinded, but it is not clear if this affected both the rules regarding the fight and the rules regarding the make up of the bowl. In 1893 there was a suggestion by the students to standardize the bowl size to 24 inches in diameter and three-quarter inch in thickness. Whether it was implemented immediately is not known. During the early this standard did seem to govern the diameter of bowls, but the thickness of bowls were far thicker than the three-quarter inches. One of the four bowls in the possession of the Archive from these years has a thickness of around one and three-quarter inches. Bowl of the Class of 19?? The bowls were made with the intention of being unbreakable; after 1881 the bowl was never broken by the freshmen ranks. No wonder the rules of counting hands came along!